Oasis is celebrating its 20th anniversary with a reissue series Chasing The Sun - Oasis In The '90s. The first reissue in the series will be the band's 1994 album Definitely Maybe, which will be released as a standard cd, 3 disc special edition with rare recordings and demos, 12" vinyl version, and CD/LP deluxe box set on May 19th. 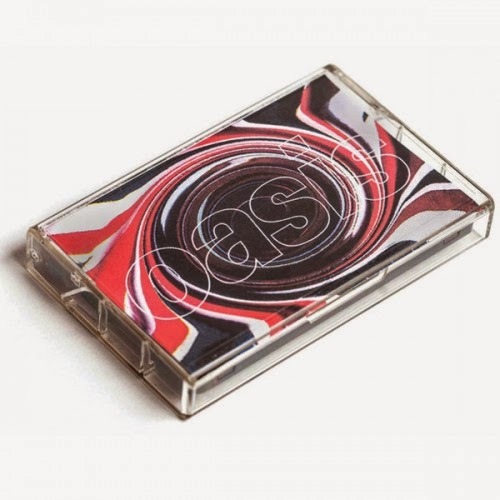 A limited edition cassette replica of the band's 1993 demo tape (pictured above) is available to purchase on the official Oasis website, which re-launched today and has been updated with tons of multi-media anniversary features. Oasis' first single, "Supersonic" will be re-issued as a 12" single for Record Store Day (April 19th). Oasis will reissue What's The Story Morning Glory and Be Here Now as part of Chasing The Sun - Oasis In The '90s later this year. More details on that are expected soon. Watch the band's short video announcement about the reissue series below and check out the new Oasis website here.